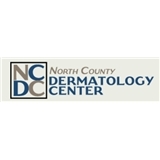 North County Dermatology Center (Encinitas) - Book Appointment Online! Very detailed. He really cares! Very nice! Very knowledgeable and caring doctor. She was able to recognize and diagnose several long standing conditions in minutes and was honest about treatment and medications. Highly recommended. The office and its staff were very nice and friendly. Dr. Burrows had great bedside manner and explained everything well. Would recommend to anyone. Online booking of great too!